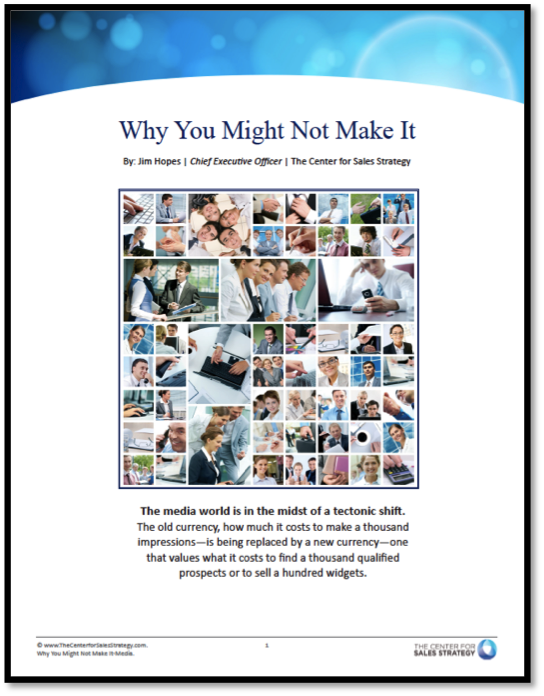 The media world is in the midst of a tectonic shift. The old currency, how much it costs to make a thousand impressions--is being replaced by a new currency--one that values what it costs to find a thousand qualified prospects or to sell a hundred widgets. Are you going to make it in this new world? In this eBook you'll learn how to create a new sales organization capable of handling both a wholesale service for transactional customers and a reinvigorated retail strategy to replace lost wholesale revenue. Download the eBook today by filling out the form to the right.